The Indian Navy is planning for the first aircraft carrier built in India to formally join the fleet in two years, a senior official recently told reporters in New Delhi. The future INS Vikrant, a name derived from the word for "courageous" in Sanskrit, "is expected to join the navy in October 2020," New Delhi's director of navy design said on January 19, according a report from the Diplomat. The carrier has been under construction since 2009 and first floated from its dry dock in late 2011. It was originally slated for commissioning in 2023, according to a 2016 report from India's Comptroller and Auditor General. The carrier measures about 262 meters in length and 60 meters in width — about the size of a large World War II-era aircraft carrier — allowing the ship's crew to operate 30 to 40 aircraft. Some combination of Russian-made MiG-29K Fulcrum fighter aircraft and a series of helicopters, including Kamov Ka-31s, HAL Dhruvs and Westland Sea Kings, will be stationed on the carrier, as these are the main fixtures in Indian naval aviation. The Ka-31 helicopters will fill an early-warning function while the Sea Kings will provide an anti-submarine warfare capability. The INS Vikrant has endured years of delay. In 2012, the Times of India reported that the carrier would be inducted into the navy in 2018. 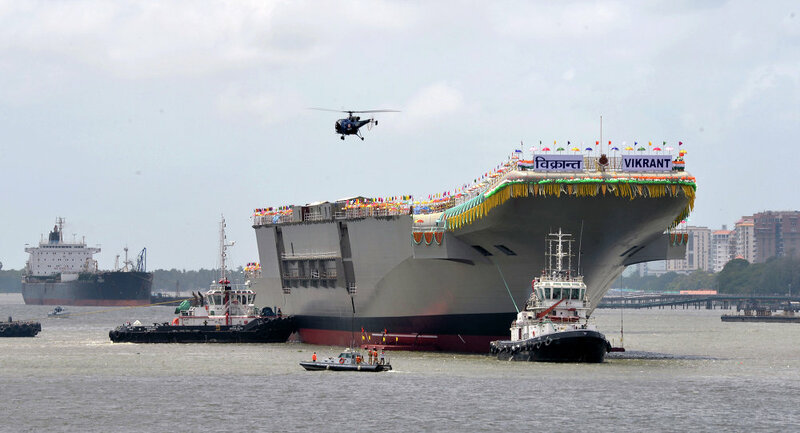 The 44,000-ton carrier is the first carrier of the Vikrant-class. A follow-on to the INS Vikrant, the INS Vishal, is currently in design phase. Indian officials have said the INS Vishal will be powered by nuclear reactors. It remains unclear whether India will source this technology domestically or from a foreign partner. In 2016, Russia offered its aircraft carrier design, dubbed Project 23000E Shtorm, to the Indians. 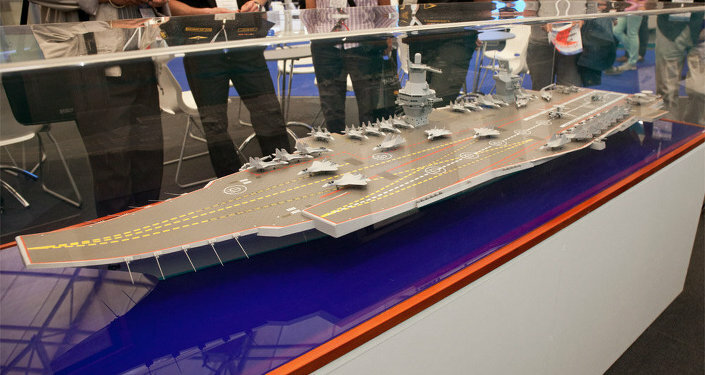 The conceptualized Shtorm aircraft carrier is about 100,000 tons and is powered by nuclear reactors, a technology seen in the US Navy's Nimitz- and Ford-class carriers and the French Navy's Charles de Gaulle aircraft carrier. Most other carriers in the world are fueled by petroleum.